Some residential applications might not call for a very tall wall, however we can assist you no matter how large or small the wall may be. 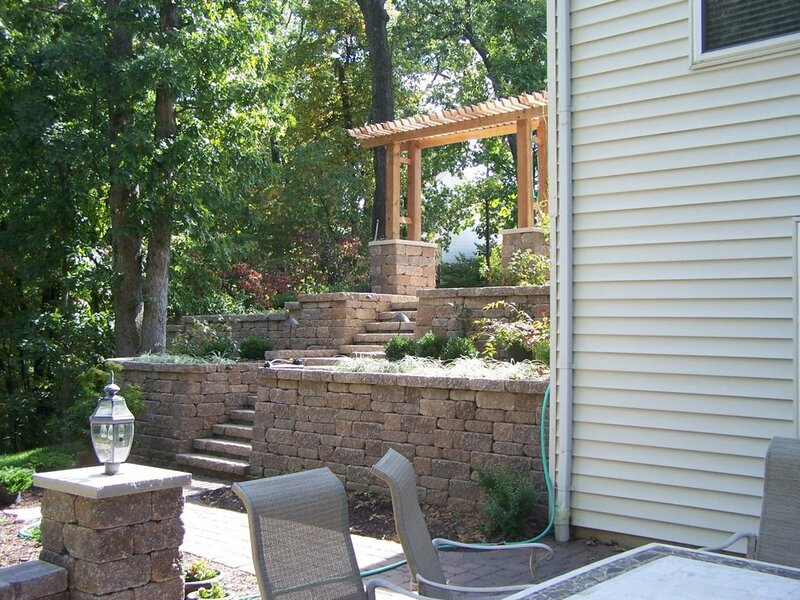 Not only does a retaining wall offer you the obvious functional aspects but it can also offer a very appealing visual aspect. You can go from an Old World look by using our weathered or tumbled Versa Lok system, to the multi-piece Versa Lok MOSAIC system, to a natural looking stone system like Rosetta. Rosetta offers a natural look while providing the strength and integrity of a man-made, engineered retaining wall system. Not to mention the fact that these walls offer you increased property value as well. We all know curb appeal is huge when buying or selling a home.